In December 2018 Tetra Tech’s Catherine Courtney, along with the University of Connecticut’s Robert Pomeroy and the U.S. Agency for International Development’s (USAID) Stephen Brooks, published a paper in the Marine Policy Journal in which they developed an assessment framework based on the Food and Agriculture Organization of the United Nations (FAO) Voluntary Guidelines for Securing Sustainable Small-Scale Fisheries (SSF Guidelines). In order to increase awareness and catalyze the adoption of the SSF guidelines, governments together with other stakeholders need to assess the status of implementation as a first step to establish a baseline from which to prioritize investments and measure progress. The existing 90 SSF guidelines are written in paragraph form making it difficult to use as-is for conducting such an assessment. This paper presents a simple assessment framework and process to support a participatory country level assessment of the status of implementation of the SSF Guidelines. The SSF assessment framework is intended to: (a) raise awareness of the SSF Guidelines among development partners; (b) enable an assessment of the status of implementation of guidelines at a country level; and (c) identify gaps and opportunities for investment for development programs and partners working across a diversity of sectors. The assessment framework is not intended to replace the SSF Guidelines but to transform them into a format that can be used for assessment. In addition to the framework, the authors developed an assessment process that consisted of desk reviews, expert and stakeholder consultations, and a country-level workshop to assess the status of local implementation of SSF Guidelines. 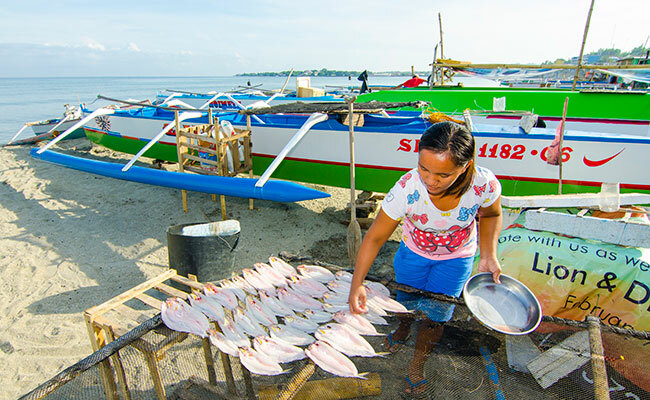 After completion of assessment in Indonesia and the Philippines, the authors found inconsistencies and gaps in stakeholder knowledge regarding policies that would support small-scale fisheries management. The simplified framework and assessment process increased the awareness of the SSF Guidelines and highlighted the need for multiple sectors, some of which are outside typical national fisheries agencies, to collaborate to secure sustainable small-scale fisheries. Learn more and read the entire article here.